Here in netcastblog.ambassadorships.net my title is Ambassadors 1st. My real name is G. Bradley Nelson. Friends call me Brad. I graduated from high school in Ponca, Nebraska. 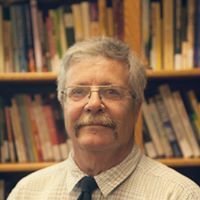 I hold degrees from Oak Hills Bible College, in Biblical Studies, and Bemidji State University, in Philosophy. Both of these institutions are located in Bemidji, Minnesota. 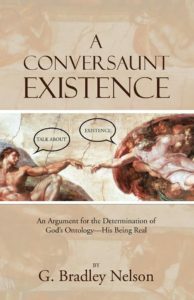 If you came to this blog site through www.ambassadorships.net you will have already seen that I am the author of the book, “A Conversaunt Existence.” The subject of this book is establishing the existence of God philosophically, using newly developed arguments from the longstanding standard arguments for the existence of God. Having proof that God exists is a great tool when one is “defending the faith” and presenting “the Gospel” of Jesus Christ to a non-believer. My hope is that you enjoy, and make use of the thought-provoking articles being presented here at netcastblog.ambassadorships.net.